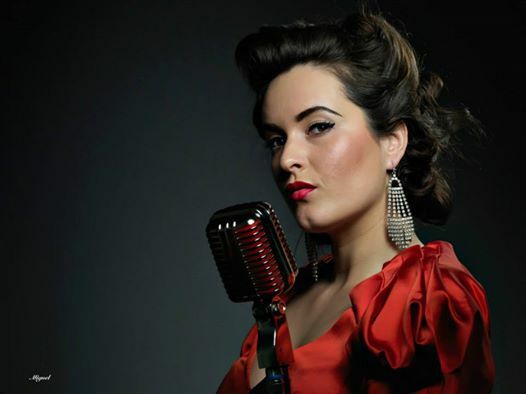 London based Jazz singer and creative event producer Kerri Layton, has launched her own record label ‘Dixiebird Records’ and creative event agency ‘Kerri Kreates’ with the aim of creating live and recorded entertainment experiences for the commercial market. A world class producer from humble beginnings, Kerri started out at age nine creating circuses for her friends in the park, singing into her hairbrush and turning park benches into mini stages for her friends to now creating experiences for over 120,000 people at venues like Alexandra Palace, with casts of over 226 performers!! Literally taking the world, one stage at a time, Kerri has sang around many of Europe’s 5 star ski and beach resorts, has sang for Swiss Royalty and has shared a stage with the legendary Andy Mackay, played Glastonbury Festival twice, sang for The BBC, amongst many others. ‘The Aston-Martini’ is the very first of ‘Dixiebird Records’ shows, focusing on the era of the 1920’s and inspired by Scott Bradlees riotous Postmodern Jukebox, placing the energy and style of the roaring 20’s into a modern day context; The show boasts singers, dancers, a cabaret show and a full 5 piece band, and is open for bookings for the coming christmas season. 2019 has some top secret projects penned in that Kerri is remaining extremely tight lipped about, but she has told us there is a international collaboration in talks, a national tour, two new shows which are already in production and she will also be independently releasing her debut single ‘Lady of The Dead’ along with her EP and originals project, which is been in the can for over 12 months.